Denial-of-service (DOS) attacks take various forms but often involve a company's servers being flooded with data in an effort to disable them. "Attacks such as this are malicious efforts orchestrated to disrupt and make unavailable services such as online banks, credit card payment gateways, and in this case, Twitter for intended customers or users," said Twitter co-founder Biz Stone on the company's blog. 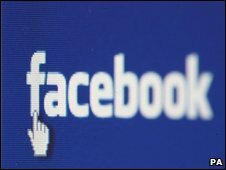 Facebook said its service was reduced but not taken offline. "No user data was at risk and we have restored full access to the site for most users," spokeswoman Brandee Barker told the AFP news agency. "We're continuing to monitor the situation to ensure that users have the fast and reliable experience they've come to expect from Facebook." Both sites have previously been targeted by hackers. For example, in January this year Twitter announced that 33 accounts had been hacked, including those belonging to US President Barack Obama and singer Britney Spears. The latest attacks are what is known as a denial-of-service. These often use networks of computers - known as botnets -under the control of hackers. The strategy is often employed by protestors against, for example, government websites, said Roger Thompson, chief research officer at security firm AVG. "Twitter has become a poster-child for our always-connected, always-on internet culture," he told BBC News. "With the eyes of the world's media all trained on Twitter at the moment, those behind this latest attack may be using it as a means of highlighting the vulnerability of the sites we take for granted. "There is no profit to be made from DOS and those who do carry out an attack like this will lose their botnet, showing there is no gain to be had." Both sites now have millions of users worldwide. Facebook claims more than 250m active users whilst a ComScore study suggests that Twitter had around 45 million users worldwide as of June 2009. However, as many users interact with the service through mobile phones or third-party software, the actual number of users is likely to be higher. The sites recently garnered worldwide attention when they were used by Iranians to co-ordinate demonstrations following the election of Mahmoud Ahmadinejad as president. Many protestors believed there was electoral fraud and opposition leader Mir Hussein Mousavi should have won. Twitter chose to delay upgrade work during the protests to allow communication to continue. 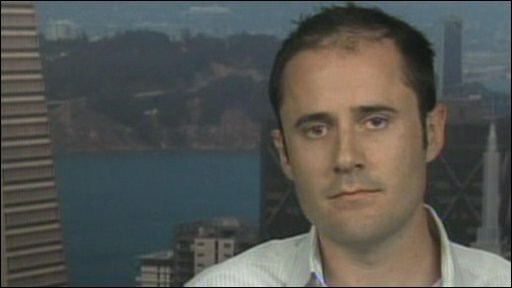 In a BBC interview, co-founder Evan Williams denied the move had been a response to a US State Department request.